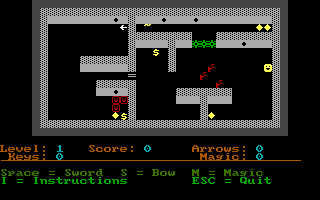 The sequel to ascii based graphic adventure game, Dark Woods 2 takes by where the last game ended, inside the Castle ruins. You, Eduin, the fearless adventurer, must find your old village in order to win the game. Dark Woods 2 features 11 maps and the option to make/play custom maps.